Zina Swanson is the inaugural recipient of the Grace Butler Memorial Foundation Award at Ara. 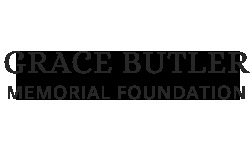 The Grace Butler Memorial Foundation received 42 submissions for the Award and in selecting Zina Swanson the judges also acknowledged and commended the submission received from conceptual artist and contemporary weaver Annie MacKenzie. “Amongst a number of very high calibre applications, Zina’s work stood out for her thoughtful engagement with environmental issues and her questioning and cross-examination of our relationship to the natural world. These are important concerns which Zina addresses through sculptural objects, installations and paintings that are often intimate in tone and carry a compelling sense of immediacy. Her works frequently draw on the materials and methodologies of scientific (particularly botanical) enquiry, combining these with her own idiosyncratic reflections on the histories or experiences of place. The experimental attitude of Zina’s practice echoes that of Grace Butler whose own dedication to a developing New Zealand modernism marked her out as a brave and progressive artist. We believe Zina’s work sets a high benchmark for the future of the award." Zina Swanson graduated from the University of Canterbury's School of Fine Arts in 2004. In 2013 she was the Frances Hodgkins Fellow and in 2014 undertook a month -long residency in New York facilitated by Apexart, Tribecca. Her work is held in the collections of the Christchurch Art Gallery, University of Canterbury and the Hocken Collection. During the period of her residency Swanson will complete a new series of watercolours and a significant new sculpture in terra cotta bricks of a sofa with a geranium whose roots form the shape of a container in which the plant supports itself. Original generation time 3.3077 seconds. Cache Loaded in: 0.0005 seconds.